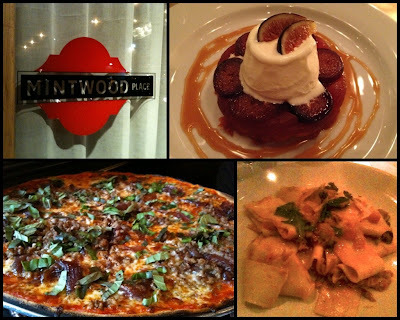 Outside Mintwood Place, dessert at Little Bird, Posto pizza, pasta at Lupa. 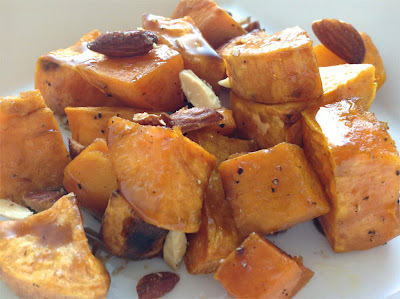 Although cooking is the focus of my blog, dining out is an important part of it too. I think the two go hand-in-hand, and I get a lot of inspiration from the restaurants we visit. My list is by no means comprehensive—I’m not a restaurant critic—but these were the meals I looked back on most fondly this year. Best Starter: Goat Cheese & Beet Mountain Pie, Mintwood Place (Washington, D.C.). I don’t know whether “mountain pie” is an original creation by Chef Cedric Maupillier, but the slab of roasted beet encased in goat cheese and then fried was an an excellent way to start a dinner that only went uphill from there. Honorable mention: Roasted Beets with Rye, Agretti and Smoked Crème Fraiche, The NoMad (New York, N.Y.), Cauliflower Soup, Little Bird (Portland, Ore.), Smoked Cashew Salsa with Masa Crisps, Empellon Cocina (New York, N.Y.). Best Pasta: Pappardelle with Chicken-Tomato Sauce, Lupa Osteria Romana (New York, N.Y.). Every pasta dish I’ve tasted at this Greenwich Village outpost of the Mario Batali food empire has been good, but this slightly spicy dish was expertly assembled with pasta cooked to perfection. Honorable mention: Lobster Ravioli, Fiola (Washington, D.C.), Lobster Roe Tagliatelle, Palena Café (Washington, D.C.). Best Meat Dish: (tie) Eisenhower Stew, America Eats Tavern (Washington, D.C.) and Roasted Pork for Two, Mintwood Place (Washington, D.C.). Such a shame that America Eats Tavern was just a “pop up,” since I would really like to eat this deconstructed beef stew again someday. Perhaps Jose Andres will surprise us somehow. What makes up for it, I suppose, is the fact that I can go at anytime to Mintwood Place and enjoy Maupillier’s perfectly cooked roasted pork served with a rich, heavenly sauce. Honorable mention: Braised Pork Shoulder with Cabbage, Bacon, Apples and Chives, Little Bird (Portland, Ore.). 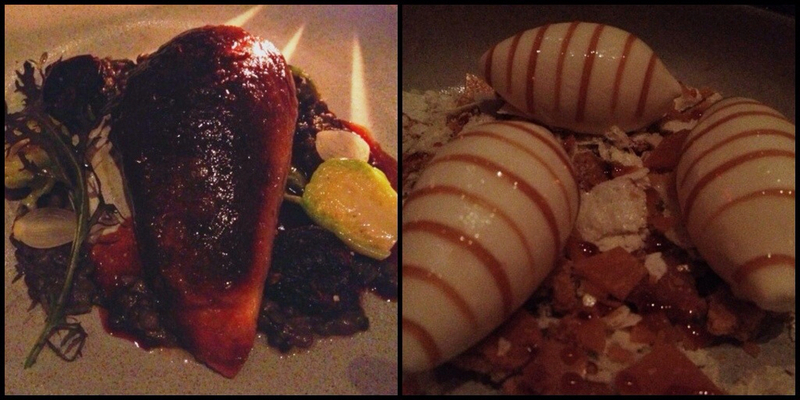 Best Dessert: Apple and Fig Tarte Tatin with Frozen Yogurt, Little Bird (Portland, Ore.). You can hardly go wrong with figs in dessert, which Pastry Chef Nora Antene served two ways in this sweet confection augmented by the burnt taste of caramel and the tang of frozen yogurt. Honorable Mention: Chocolate Cake with Mole Dulce and Masa Ice Cream, Empellon Cocina (New York, N.Y.), Caramel Gelato, Lupa Osteria Romano (New York, N.Y.), Milk and Honey, The NoMad (New York, N.Y.). Best Pizza: Posto Thin Crust Pizza (New York, N.Y.). Chris and I have evolved a tradition for our trips to New York: we eat our first meal at Posto, which serves the most delectable pizzas on crust so thin it has a crispy cracker-like texture with a bit of char but still a nice softness under the toppings. If you like caramelized onions and sausage, the Salsicca Dolce can’t be beat. Honorable mention: Armand’s Pizzeria, Washington, D.C. (Armand’s—we miss you), Wiseguy NY Pizza (Washington, D.C.), Ardeo + Bardeo (Washington, D.C.). Best Dish from a D.C. Food Truck: Havana sandwich, SUNdeVICH. Still the best sandwich I’ve ever had from a food truck, perhaps even one of the best sandwiches I’ve had period. The roasted pork was just perfect. 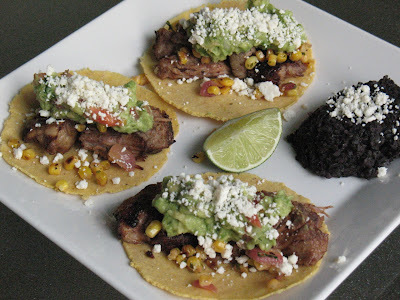 Honorable Mention: Indonesian Babyback Ribs, Chef Driven; Tacos, Chupacabra. Best Cocktail: Pins and Needles, The NoMad (New York, N.Y.). If you could create a martini by pouring the drink through a Douglas Fir tree, it would probably taste like this. Really interesting and enjoyable concoction. Honorable mention: Darkest Corner of Oaxaca (Empellon Cocina, New York, N.Y.), The Scrooge, Mintwood Place (Washington, D.C.). Best Service: Fiola (Washington, D.C.). You might think that at its price point the service at a restaurant like Fiola would be snobby. You couldn’t be more wrong. We felt so welcome by our server who expertly walked us through the menu and wine list, always seemed to be around when we needed him and gave us space when we didn’t. 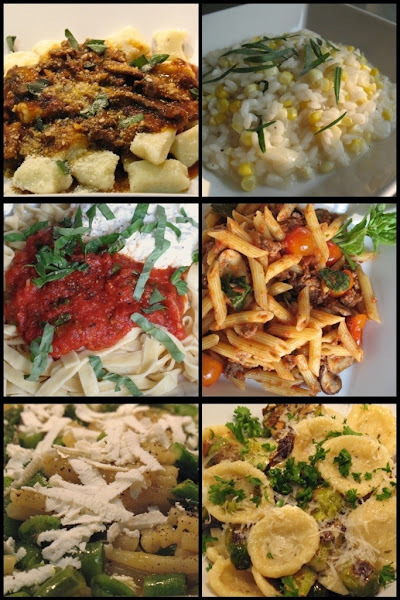 Honorable Mention: Lupa Osteria Romana (New York, N.Y.), Pig + Fish (Rehoboth Beach, Del.). Best Newcomer: Mintwood Place (Washington, D.C.). Honorable mention: The NoMad (New York, N.Y.). Best Overall Restaurant Experience: Mintwood Place (Washington, D.C.). Honorable mention: Fiola (Washington, D.C.), Lupa Osteria Romana (New York, N.Y.), Little Bird (Portland, Ore.). Ever since it opened, I've been dying to try The NoMad, the casual sister restaurant of Eleven Madison Park, one of the country's most acclaimed restaurants. Chef Daniel Humm won the James Beard award for best chef earlier this year and opened this restaurant in the NoMad Hotel to showcase simpler dishes inspired by the culinary mastery of his other restaurant. The space is gorgeous: an intimate, pillar-lined dining room with a glass ceiling. In the back is a bar with carved elephants and beyond that a bookshelf-lined lounge lined. The rooms are dark but not too much so (I didn't have to strain to read the menu). Cocktails are a good way to start the evening, and The NoMad has a generous list of traditional and creative offerings. The Pins and Needles, similar to a martini, features London dry and old tom gins as well as eau de vie of Douglas fir, a clear brandy flavored with the Oregon state tree. Given my Portland roots, it was cool to "drink" the tree I grew up with. The piney herbal taste hits you first while the chambery dry vermouth lingers. The Start Me Up cocktail features a favorite trifecta of honey, lemon and ginger mixed with rum and bourbon. With dinner, you'd be hard pressed not to find a bottle to your liking on the extensive French-leaning wine list. We enjoyed a particularly excellent California pinot noir and a French cabernet franc that was pleasingly earthy but no so much so that it was "gamey" like some cab francs can be. Starters were probably the best part of our meal. Roasted cauliflower comes with grapes, marcona almonds and cubes of cheddar, as well as a few thin slices of raw cauliflower and a welcome hit of acid (red wine vinegar, I think). It's an unusual but delicious combination. Roasted beets are even more intriguing, served on a bed of toasted rye bread crumbs and a generous dollop of smoked creme fraiche. Roast Chicken for Two is the dish the restaurant is best known for. People all around us were ordering it, and I knew I had to try Humm's take on the simple classic, which he dresses up with an under-skin stuffing of foie gras, black truffles and brioche crumbs. Although I liked this dish a lot, it wasn't the best roasted chicken I've ever had, a pedestal still occupied by Frank Ruta's Palena Chicken. The chicken was flavorful but dare I say a tad dry. After reading Pete Wells' New York Times Diner's Journal story on the dish, I understand how the foie gras stuffing is used as a fat source for richness and browning the skin, but it's not something you can really taste. Likewise, I couldn't discern any black truffle flavor. These luxurious ingredients seem wasted if you can't taste them, like they're part of the dish more for dazzle than actual taste. The service was prompt and efficient, almost to a fault. Our check arrived immediately after we'd finished the last bite of our dessert. But that's better that than the dreadful opposite where you're sitting around for ages waiting for someone to let you pay so you can move on with your life. Still, there were always a great number of servers in the room, which created constant activity and made the atmosphere feel a little less relaxed than I'd have liked. We finished our evening with Milk and Honey, dollops of vanilla ice cream drizzled with honey and served with toffee brittle and a sweet flaky crumb that also tasted of honey. The well-balanced dessert was a good send off for a fine meal. I want to also mention the earthy flatbread that started the meal, which had gray-green color from being dyed with bamboo ash and comes with onion, sweet potato, sage and rosemary coating it. It's a prime example of how The NoMad, while serving homey dishes like roast chicken, still pushes the envelop with unusual ingredients. The NoMad, 1170 Broadway (at 28th Street in The NoMad Hotel), New York (NoMad district, north of Madison Square). (212) 796-1500. Reservations: Open Table. You may be thinking "isn't Aperol Spritz a summer drink?" Yes, it is. But it's also a sparkling wine cocktail, which makes it an ideal drink to toast the new year. I'm not a big champagne drinker, but I like a few bubbles every now and then. 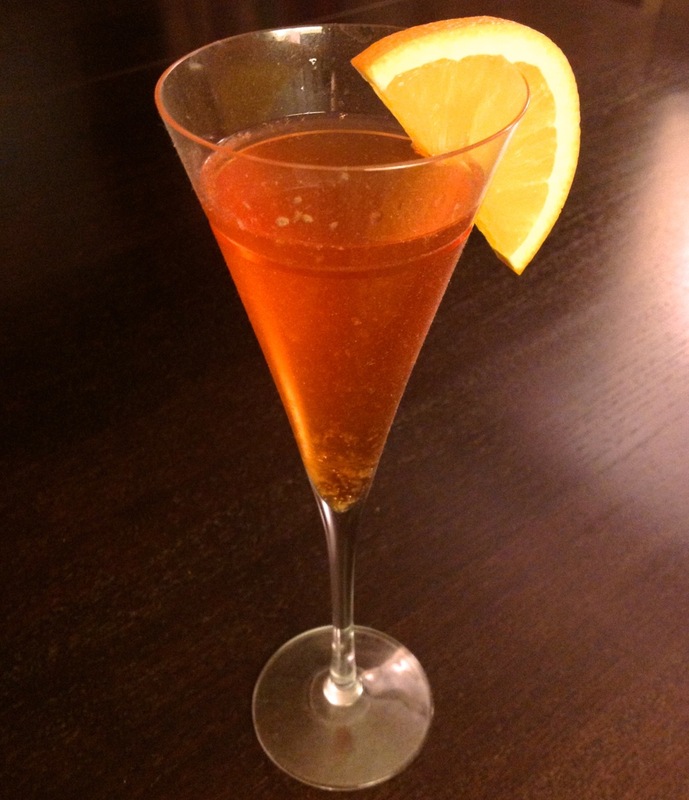 Aperol Spritz is made with prosecco, the Italian sparkling wine that's much more affordable than champagne. This simple recipe is adapted from what's printed on every Aperol bottle. This year, my dessert-making was guided by two principal influences: the creativity of Momofuku Milk Bar pastry chef Christina Tosi and the ice cream wizardry of Jeni Britton Bauer. Whether I was faithfully re-creating their recipes or inspired by their techniques to whip up an original creation, the results always hit the sweet spot. 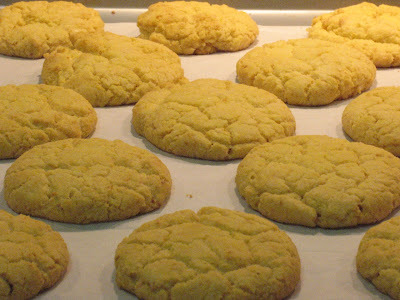 From Tosi, I found a cookie so delicious it rivals my all-time favorite (peanut butter), the Corn Cookie, which is like the sweetest corn bread transformed into a cookie. I also enjoyed making her Crack Pie just the other week. After making a few of Bauer’s ice creams last year, I felt free to apply her technique to come up with flavors of my own. A favorite from early in the year to coincide with my week of olive oil themed content was, naturally, Olive Oil Ice Cream with a dark chocolate sauce. Then I mashed up ideas from both of these chefs for two recipes: A Blackberry-Vanilla Ice Cream Pie with Corn Cookie Crust, which combined a Bauer ice cream recipe with Tosi’s idea to grind up corn cookies and use them as ice cream pie crust. Even more adventurous was the Cereal Milk Baked Alaska, which used Tosi’s idea of using sugary kids’ cereal as flavoring in ice cream but made with Bauer’s technique, encased in an oven-browned meringue over brown butter cake. A couple of my desserts got special recognition this year, which was very nice to experience. In the summer, my Chocolate Cake with Peanut Butter Frosting won my office dessert contest. 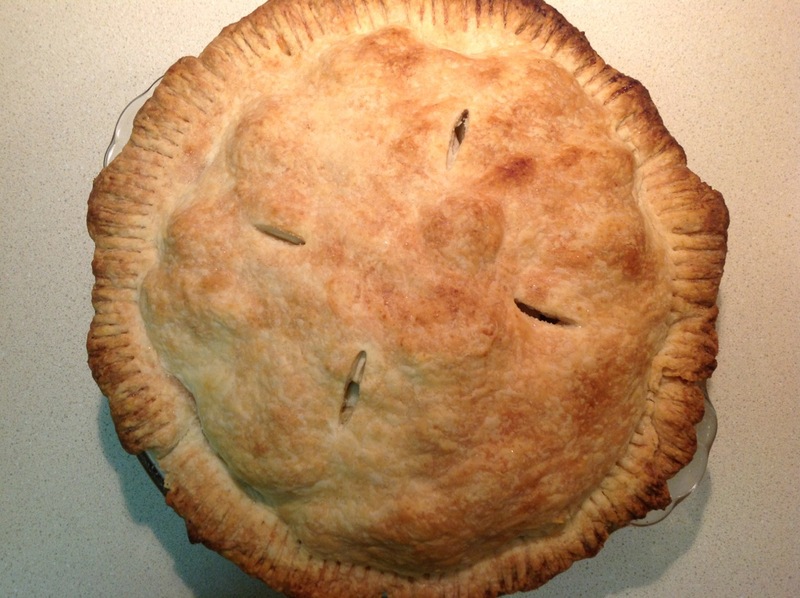 And in the run-up to Thanksgiving, the New York Times Diner’s Journal included a mention of my Apple Pie with Vodka Crust, based on a recipe from America’s Test Kitchen. I went a little cookie crazy a few weeks ago. 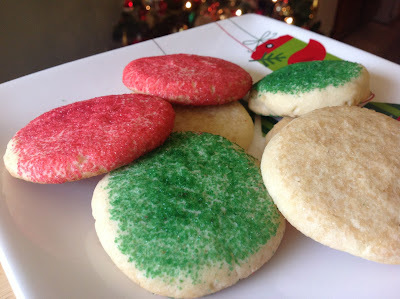 Besides the Corn Cookies, I featured my long-time favorite, Peanut Butter, and the holidays wouldn’t be complete without these Old-Fashioned Sugar Cookies from an old Mary Engelbreit recipe. I had a lot of fun coming up with new cocktails this year. 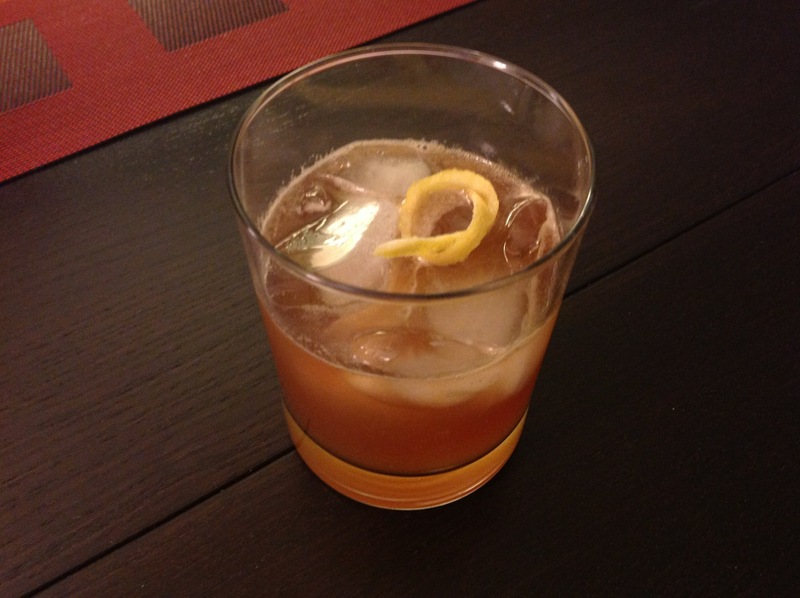 The Dallas Drinks series I did with Chris for Dallas Decoder was a particular highlight. Television in general proved to be a fertile source of inspiration. The Whore’s Bath, inspired by an episode of ABC’s sitcom Happy Endings, is far and away the most popular thing I’ve done for Cook In / Dine Out. 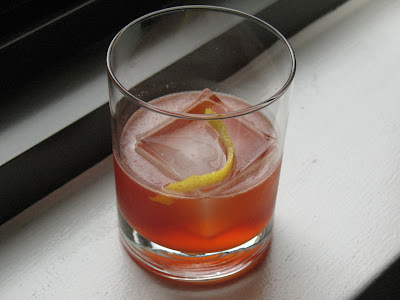 Here is a look back at the year’s best cocktails, by base spirit. Best: Kickin’ Cucumber Collins. This drink is potent, not so much with booze, but with flavor, courtesy of the spicy ginger-peppercorn syrup and herbal notes of Charrtreuse. Its peppery kick is nicely offset by the lemon juice and muddled cucumber, which make this drink refreshing too. The drink doubled as The Christopher for the Dallas Drinks series. Honorable Mention: The Happy Endings Whore’s Bath. 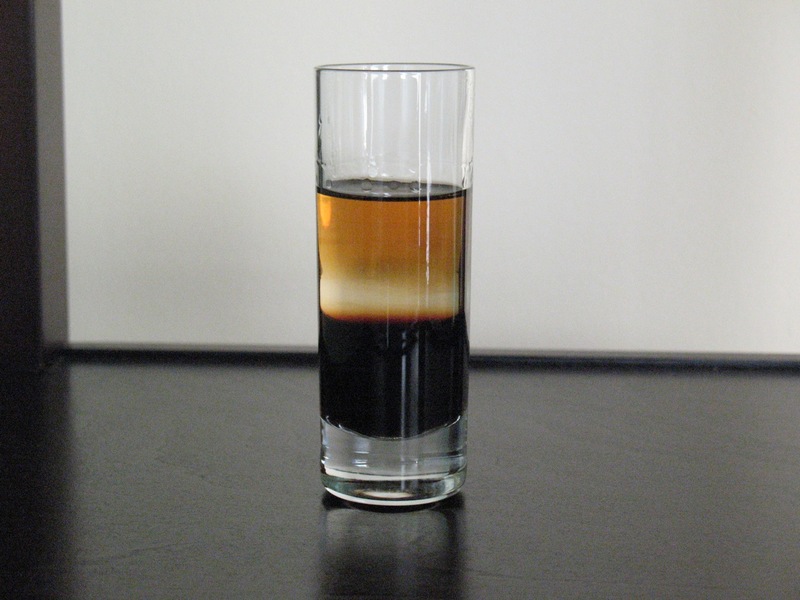 This drink won the popularity contest, with about 60 times the usual views for a typical post. Benedictine gives the drink its herbal sweetness, while grapefruit juice makes it tart but refreshing. This drink also did double-duty: It was also The Rebecca for Dallas Drinks. Best: Light My Fire. This mezcal drink evoked “fire” from its bright red-orange hue, courtesy of Aperol, the popular Italian aperitif, and the jalapeño syrup. Served on the rocks with some lime juice, this was a nice late summer cocktail to enjoy on the balcony as the evening became much shorter. Honorable Mention: Ruby Rosemary. I like this tequila cocktail because it harmonizes a mix of flavors: tart grapefruit, orange-vanilla Licor 43, spicy peppercorn and woodsy rosemary. Best: Brazilian Ginger Mojito. The Cuban mojito and Brazilian caipirinha are similar drinks made with rum (specifically Brazilian cachaça for the caipirinha). This refreshing drinks subs cachaça for mojito’s typical rum, trades lemon for lime and adds a splash of ginger liqueur, creating a subtle twist on a classic favorite. 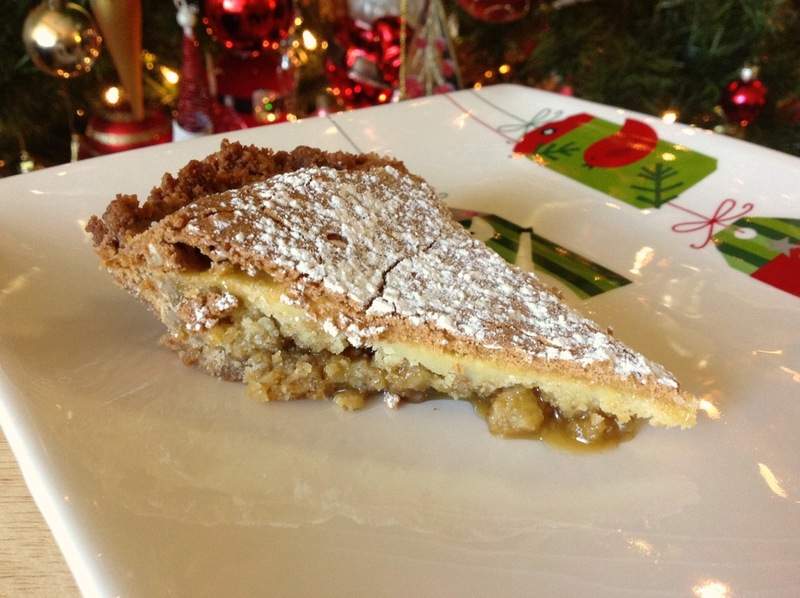 Honorable Mention: Apple Pie a la Glass. Apple pie and ice cream is a quintessentially American dessert. This drink seeks to distill the dessert’s flavors of apple, cinnamon, vanilla, ginger and lemon into a drink. Perfect for the holidays. Best: Honey-Nut Old-Fashioned. Infusions are all the rage as a method of introducing unusual flavors into cocktails. This was probably the strangest infusion I attempted this year: infusing rye whiskey with peanuts. But it worked great. Mixed with honey syrup and some bitters, it was a curiously pleasing drink, one of the year’s most popular on my site. Honorable Mention: Dallas Drinks: The J.R. Shot. We’re not big into shots in our house, but this bourbon/Kahlua/mint concoction, named in honor of one of television’s most beloved and reviled characters (sadly departed with the death of Larry Hagman) goes down as smooth of one of J.R.’s oil deals. Best: Crème Brûlée Cocktail. A web search will show that lots of people have made cocktails inspired by Crème Brûlée, but I think mine comes closest to matching the character of the classic burnt vanilla custard, featuring vanilla vodka, cream and burnt vanilla syrup. It’s my favorite dessert cocktail of 2012. Honorable Mention: The Wise Elder. Sage and St. Germain elderflower liqueur flavor this refreshing fizz cocktail. If Chris and I concoct another Dallas Drinks series, you may see this drink again, for it was actually inspired by a character from the original series. Stay tuned. I wrote this final competitive installment of Food (Section) Fight! appropriately on a train from Washington, D.C. bound for New York City. Putting a laser focus on the food coverage of these two cornerstones of American journalism has been a fun, rewarding and even moving experience. While presented as a contest, my goal in writing this feature was really not to declare a one "winner" (although, for the sake of it, I will do so today). 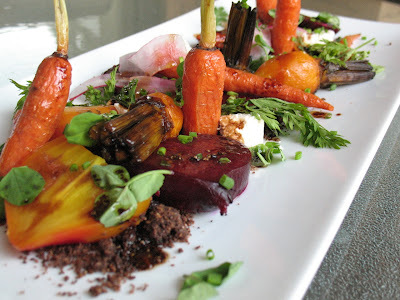 My real purpose was to highlight quality food journalism as a key component of my blog. My husband is a former journalist, and we have lots of friends in the industry. I'm concerned over the notion that people are reading fewer newspapers as they get their "news" from their Facebook feed, Twitter and blogs. I love writing about restaurants, but I'm not Tom Sietsema or Pete Wells. 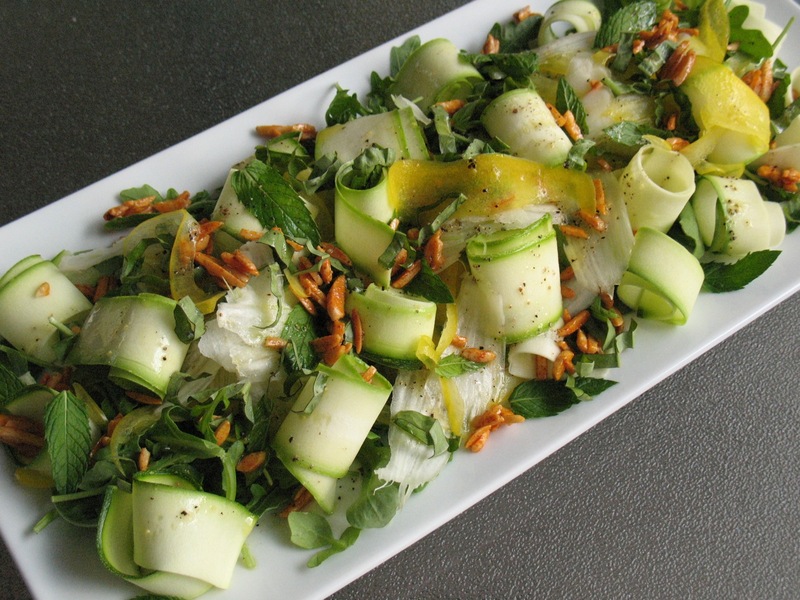 I also love creating new recipes, but I'm no Mark Bittman or David Hagedorn. I have my angle for sure, but what I and other food bloggers do should not come at the expense of journalists who can draw on their expertise and resources to dig deeper and report wider. It doesn't have to be one or the other--we can inspire and learn from each other. When the Post started scaling back its sections during the recession, I was scared the Food section would be a casualty, but thankfully it's been retained and appears to be flourishing. The Post, in particular, does not seem to be defensive about the world of food bloggers. In fact, they have prominently featured them, such as the recent story about the D.C. couple whose cooking blog, The Bitten Word, has become one of my favorites. And I'm very appreciative of the attention the Post Food staff--Bonnie Benwick in particular--has shown Food (Section) Fight! on Twitter. To find the real winner of Food (Section) Fight!, don't look at the score at the bottom of this post. We--the devoted readers--are the true champions of this enterprise. And now, on with the contest. 1) "12 Triumphs of 2012," Restaurants by Pete Wells. Capping what must be a banner year for new restaurants in New York, Wells writes about his 12 favorites, a remarkable and varied list that includes the avante garde modernism of Atera, creative Asian cooking of Mission Chinese and Pok Pok Ny and Eleven Madison Park's casual younger sister, The Nomad. 2) "Buried Treasure That Is Filled With Mystery," by Eugenia Bone. This isn't the first article I've read this year about truffles, the mysteriously pungent tuber-like mushrooms that grow underground, are hunted by pigs and demand prices that rank them among the most exclusive of culinary ingredients. But it is the best. Bone does an excellent job discussing their background, varieties and uses, as well as revealing what "truffle" oil really is. 3) "Champagne's Fancy Tricks," by Robert Simonson. Cocktails made with sparkling wine rarely appeal to me. 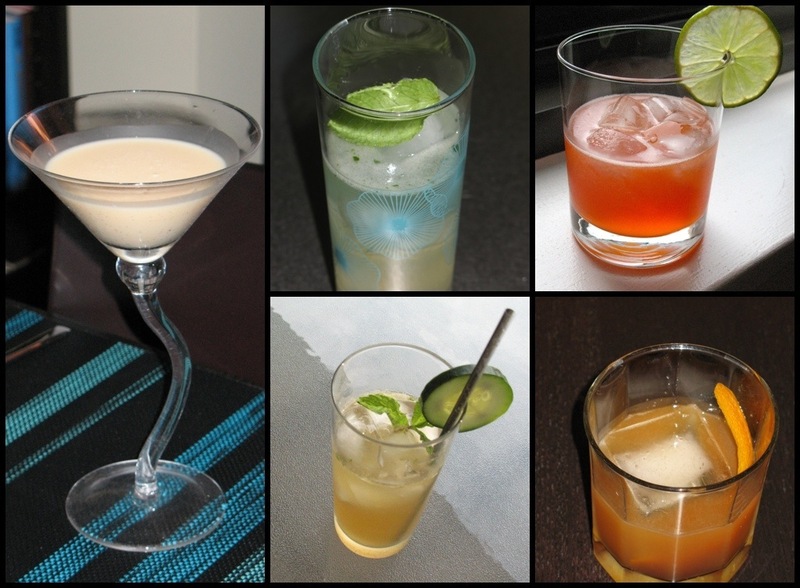 Of the dozens of cocktails I've featured this year, you won't find a single one among them. But that will change this week with the traditional summer drink I'm proposing could double for a New Year's toast. It opened my eyes to how delicious and refreshing these cocktails can be. So Simonson's piece that includes three Champagne cocktail recipes and descriptions of many others is perfectly timed with my new thirst for these fizzy drinks. 4) "Sense of Restraint About Zinfandels," Wines of the Times by Eric Asimov. My interest in zinfandel has been on the rise lately. As a big fan of the big reds (cab, merlot, syrah, etc. 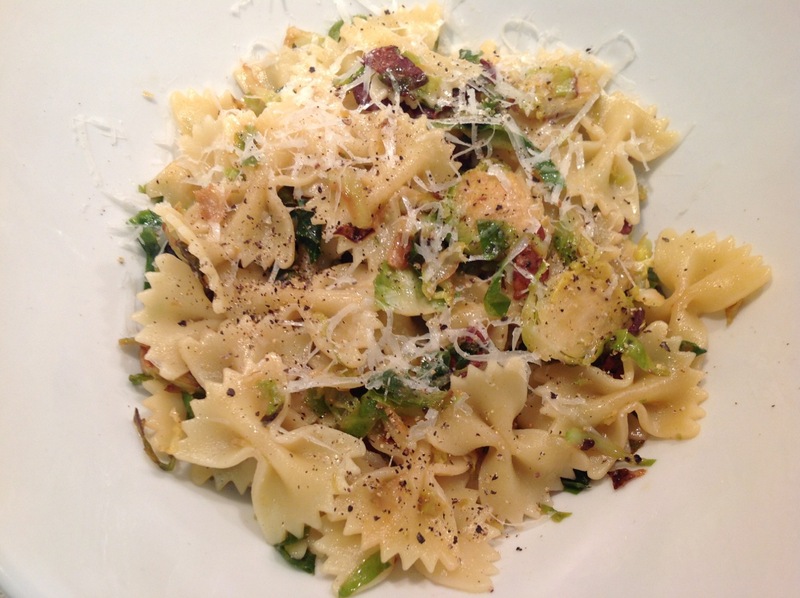 ), I find it an interesting alternative that pairs well with my love of meaty pastas. Asimov argues in favor of subtler styles of zin with less alcohol and more restraint, finding quite a few California wines to like among those he and his panel sampled. 5) "Before the Clock Strikes 12, a Time to Indulge," City Kitchen by David Tanis. Although Tanis's recipe for Buckwheat Blinis sounds tasty, I found this article most interesting for its discussion on the current state of caviar. I'm not a big fan, not because I don't like it, but because it is very expensive. So I didn't realize that the sturgeon fish from which it is harvested has become endangered globally, to the point that some popular varieties, like beluga, are currently prohibited from being sold in the United States. 1) "Three moments mattered more than any of it," Pig to Table Project part 3 of 3 by Tamar Haspel. The only time I usually shed tears over food is when chopping onions. But I became rather misty-eyed reading this moving final installment of Haspel's series about humanely raising a trio of pigs for slaughter. I've written before about why I found this series to be incredibly important for eaters whose terminus on the food chain is now so far from its beginning that many of us have no real notion of the origins of what we eat. Reading this series has not made me want to be vegetarian--nor Haspel it seems, despite the strong emotions the experience produced--but it will make me think twice about why the cost of an unused pork chop or pound of ground beef left too long in the fridge is different than a head of wilted kale that gets tossed. 2) "Reformers, gather 'round the remedy," Smarter Food by Jane Black. I don't know if the Post planned this, but Black's story dovetails nicely with Haspel's. She identifies food experts' one wish for 2013 to be the reduction of antibiotics in meat production. These are two parts of the same puzzle: how can our society raise and consume meat humanely, safely and economically? It's a difficult challenge for sure, but one that desperately needs tackling. 3) "Melty onions and gooey cheese: what could go wrong?," The Process by David Hagedorn. For those opposed to the smell of onions, I imagine being around Hagedorn while he was reporting this story was...pungent. I think it sounds heavenly though, for I've never met a roasted, caramelized or sauteed onion I didn't like. His recipe for French Onion Soup is particularly appealing. 4) "For a celebratory spread, try a vegetable pate," by Emily Horton. While the Times basks this week in the luxury of truffles and caviar, the Post satisfies its luxury food craving with pate. But not the sometimes ethically compromised meat variety, but creative vegetarian options. With recipes featuring mushrooms and lentils or roasted sweet potatoes, they sound perfect for a New Year's Eve party. 5) "Kasha Pilaf With Chicken, Mushrooms and Onions," Nourish by Stephanie Witt Sedgwick. Sedgwick describes kasha as "buckwheat groats." Hmmm...still not quite sure what that means. But I'll take her word for it that they're good. She adapts a favorite dish from her childhood by substituting chicken cutlets for pasta, creating what sounds like an ideal winter pilaf. The Washington Post. While the fitting conclusion of the Pig to Table Project alone would have clenched this victory, the Post truly shined this week with other great stories looking ahead to food policy changes needed in 2013 and delectable ways that onions and cheese can meld together to warm your winter heart. The Washington Post, with 27 points to The New York Times' 23. Congratulations! For midweek meals and even sometimes during weekends the meat I turn to most is chicken. It’s affordable, lean and, depending on the method, quite fast. 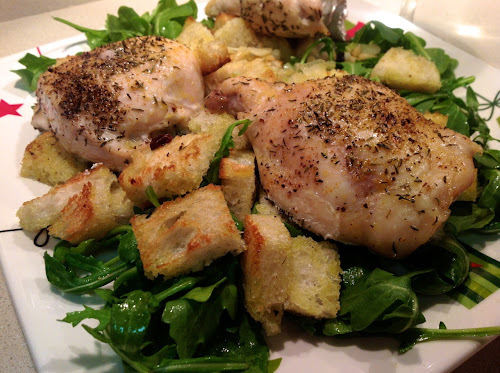 One of my favorite dishes to make is Roasted Chicken with Greens and Bread Salad, a recipe adapted from the dish served at San Francisco’s Zuni Café, which Chris and I discovered last year when we visited the restaurant. The most popular chicken dish among Cook In / Dine Out readers was the Updated Chicken Marbella, a recipe from America’s Test Kitchen that sought to modernize the classic Julee Rosso and Sheila Lukins recipe from The Silver Palate Cookbook. Even if you love the original recipe as much as I do, this update is worth trying to experience a different take on the dish. Although I would describe my cooking style as American with strong Italian influences, every so often I venture into Asian territory. I hope to pursue more international flavors next year (I have a stock of Asian dishes I’m planning to post soon after the New Year). When it comes to Chinese food, Kung Pao Chicken has been a personal favorite ever since I was about 9 years old. As delicious as the takeout version can be, it’s just as satisfying made at home and arguably less fattening. Lastly, the Ricotta Tartine with Chicken, Arugula and Asparagus Salad, Honey-Cinnamon Almonds and Garlic-Sautéed Squash Blossoms (long title!) was one of the more unusual and unexpected things I made this year. It came about from the rather made idea to “mash up” two recipes I’d been planning to make over two nights but ended up with just one to do it in. 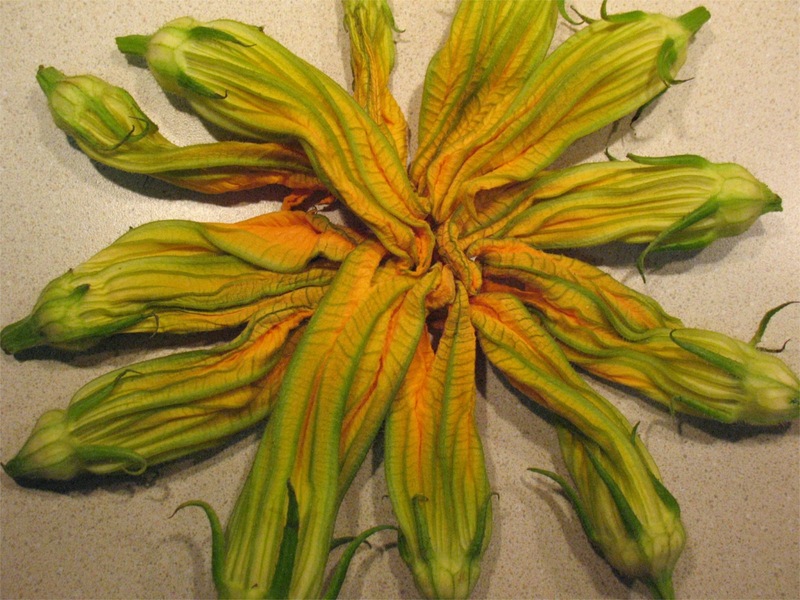 This is a good dish for early summer with squash blossoms and asparagus are freshly available. Turkey, the other poultry, plays second fiddle to chicken most of the year but shines at Thanksgiving. This year I brined my Roasted Turkey Breast for the first time, and it was so good, I don’t think I’ll ever go back to the herbs-under-the-skin method. I always make a breast, rather than a full bird, since I don’t have a large number of guests. But, if you find yourself with leftover turkey, Thanksgiving Leftover Pizza is a great way to use it up, along with stuffing and butternut squash puree. Ground turkey, especially ground dark meat, is an effective substitute for ground beef in many dishes. I prefer it in Turkey Black Bean Chili, an old favorite in our house, and its flavor shines in the Turkey and Butternut Squash Meatloaf, really more moist and flavorful than a traditional meatloaf. For years the pork lobby tried to sell Americans on the idea of pork as “the other white meat,” but that really does a disservice to what is a versatile and delicious meat in its own right. It’s nice to see pork enjoying a renaissance in restaurants these days. When you have the time, slow roasting pork produces excellent flavor, such as in Carnitas Tacos where the pork is cooked in a slow cooker and then finished under a broiler to give it some crispness. But when you don’t have the time, pork chops are fast and easy and benefit from a flavorful sauce, like Pork Chops with Maple-Peppercorn Glaze. We’re not big seafood eaters in our house, but we do have fish weekly and it’s usually salmon. Broiled, it’s a fast and easy weekday meal, and even when it’s baked it doesn’t take very long. For years, I made it broiled with a paste of garlic, rosemary, olive oil and lemon. 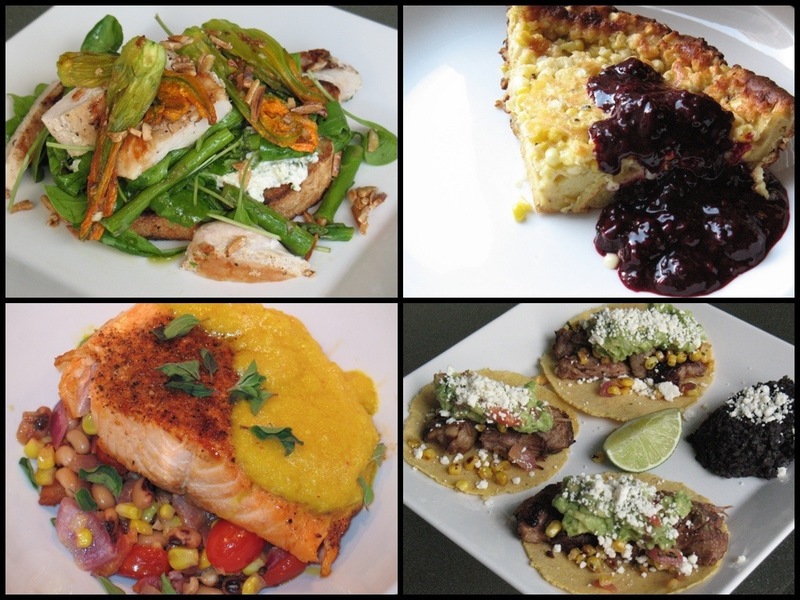 This year, I paired salmon with many different flavors to demonstrate its versatility. 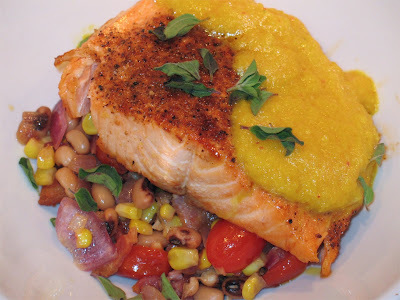 My favorite was the Southwestern Salmon with Black Eyed Pea Succotash and Yellow Pepper Sauce. The most unusual was the Salmon with Blueberries (it’s good, honest). Chris was particularly fond of the Salmon with Zucchini “Spaghetti,” and I also want to mention the Salmon with Corn, Pea Tendrils and Green Garlic Butter since it uses less common spring ingredients from the farmers market. We’re not vegetarians, obviously, but many of our friends are. 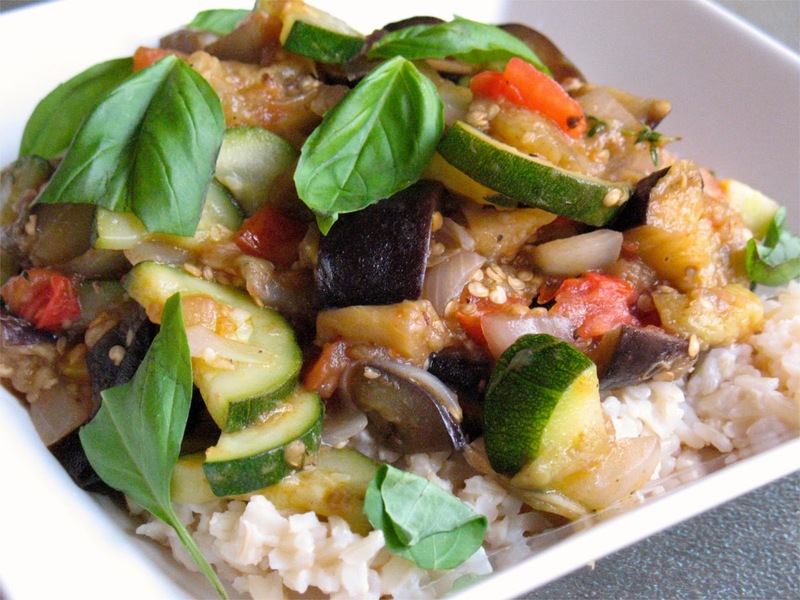 Even meat lovers have favorite vegetarian dishes, especially during the summer, when the bounty of fresh produce makes cooking without meat inventive and interesting. Take, for example, Pasta with Roasted Garlic Scape Pesto. Garlic scapes can be rather potent, but roasting mellows them a bit to make a delicious pasta accompaniment. 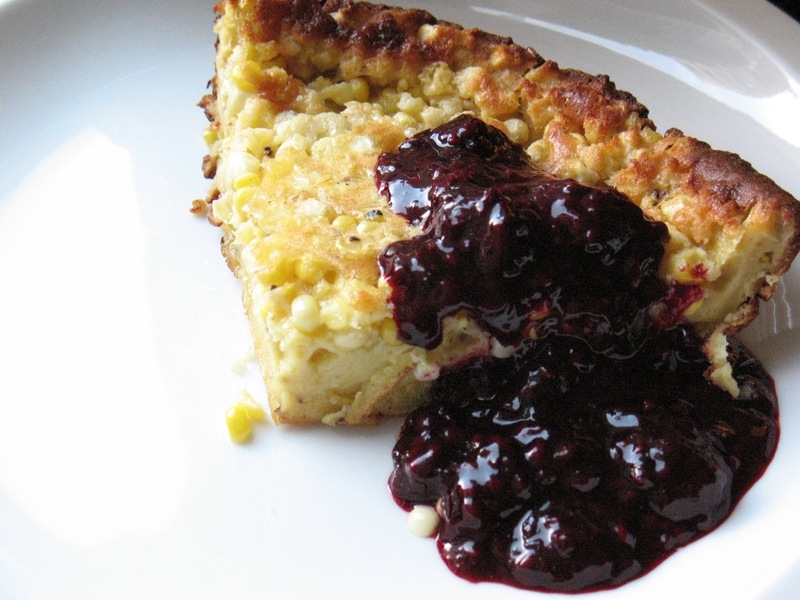 Blackberries, another summer delight, go great with corn—Corn Pancake with Blackberry Sauce is perfect for summer breakfast. 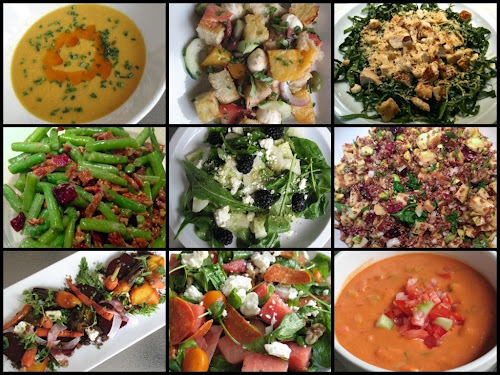 When the summer bounty peaks, it’s good to have dishes that can use up a lot of vegetables so they don’t go to waste. For that, I recommend Summer Vegetable Lasagna and Ratatouille. Pasta is one of the things I like to make most. It’s quick and forgiving, making it ripe for experimentation. My favorite pasta recipes from the year highlight a variety of seasonal flavors, like the Spring Pasta with Asparagus and Snap Peas, the summery Extra Fresh Pasta with Ricotta and Roasted Tomato Sauce and Orecchiette with Roasted Brussels Sprouts, which I made in the spring but would be perfect for fall. 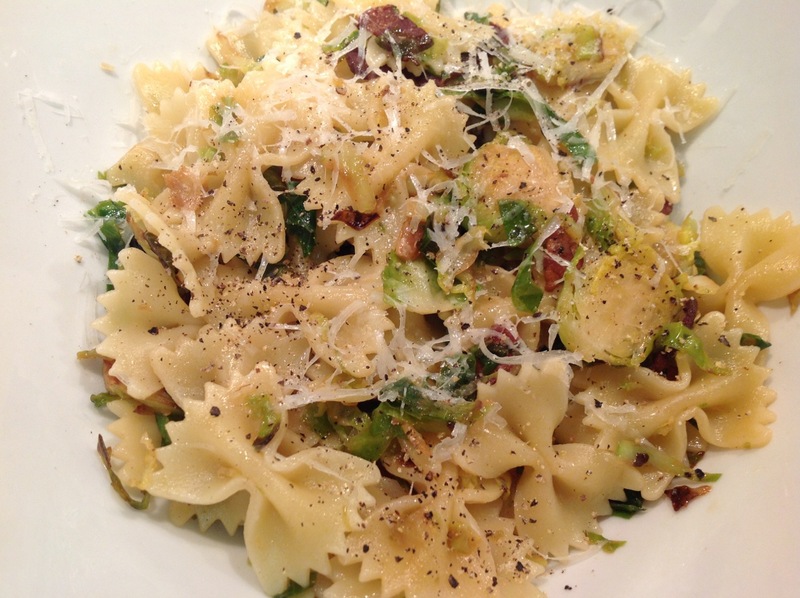 The latter two recipes include homemade pasta; easier to make than you might think and worth the extra effort. One dish I made over and over was Tomatoes Two Ways Pasta, which features the bright flavor of fresh ripe tomatoes stirred into the sauce at the end to cook up just a bit and tomatoes that have been slowly roasted in the oven to develop depth of flavor. A dish that’s good any time of year is Macaroni & Cheese, which I presented in a traditional style, a corn pudding-inspired Macorny and Cheese and a dressed-up Truffled Mushroom Mac & Cheese. Homemade pasta is wonderful, but the store-bought dried version is good too. With gnocchi though, you really ought to go homemade. This Gnocchi with Sausage-Mushroom Ragu surrounds the pillowy potato dumplings in a rich, savory sauce flavored with sage. Rice is an ingredient I’d like to do more with next year (I have my eye on paella). My favorite rice treatment is risotto, the classic Italian dish that sometimes gets a bad reputation for requiring lots of stirring (you have to stir it, but there are lots of dishes that require stirring, so it’s really no different). Corn Risotto offers a lighter take on what can be a heavy dish if it’s smothered with too much cheese and cream. This dish came about as a way to use up ingredients in the 'fridge, namely some leftover tomato sauce and Italian chicken sausage from pizza I'd made the previous weekend, plus the rest of the bag of arugula I'd used for salad a couple days prior. What resulted was unexpectedly festive: a beautifully red and green pasta dish that, when topped with freshly grated pecorino romano, looked like it was covered in fresh snowfall. 1. Bring a large salted pot of water to boil. Cook pasta according to package direction for al dente. Drain and set aside. 2. Heat 1 tbsp. 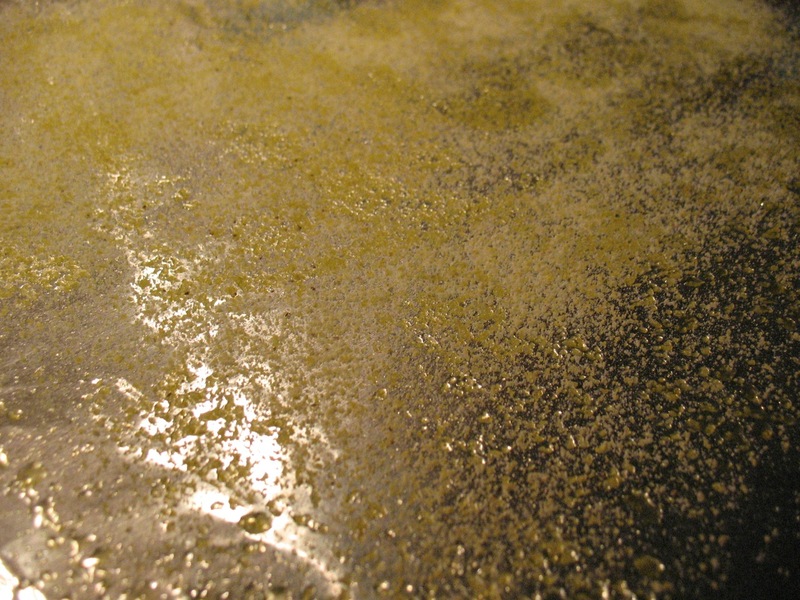 olive oil in a large frying pan or skillet over medium heat. Add onion and salt and sauté until the onion softens, about 5 minutes. Add the garlic and sausage, using a wooden spoon or spatula to break up the sausage as it cooks. Season with thyme and oregano and continue cooking until the sausage is cooked through, about 5-7 minutes. 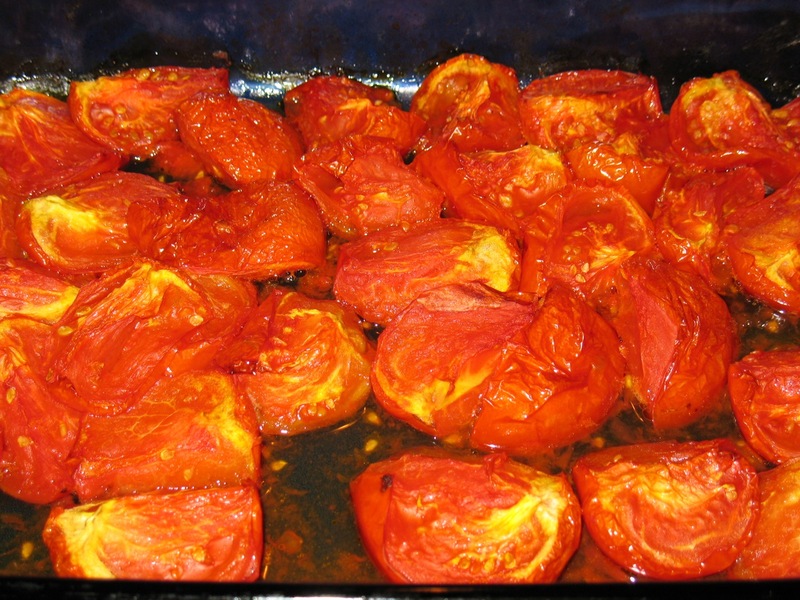 Add the tomatoes and once the mixture bubbles, reduce heat to simmer and cook for 10-15 minutes. 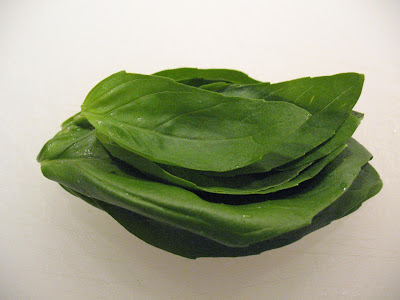 Add arugula leaves for the last 2 minutes of cooking and stir into sauce as the leaves wilt. Pour sauce over pasta and stir to combine. 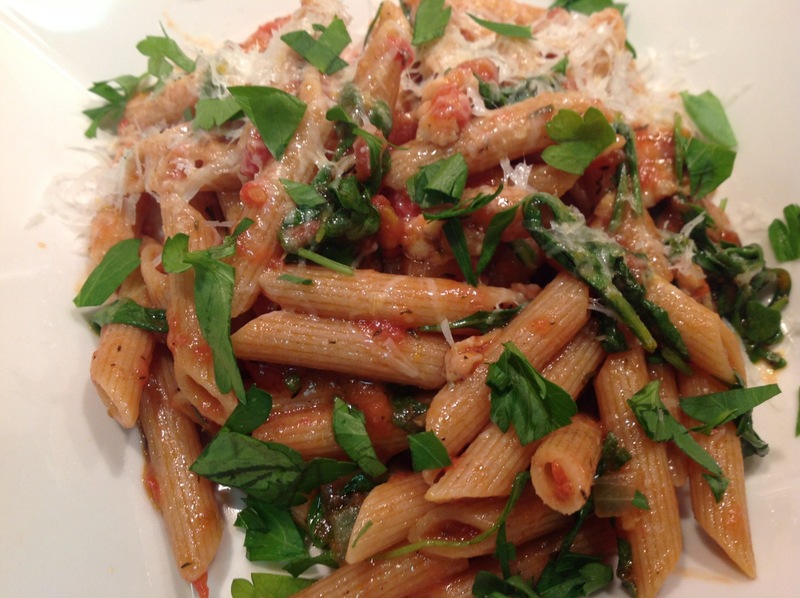 Serve pasta in bowls topped with fresh parsley and grated pecorino romano cheese. “Because you can’t stop eating it,” is why Momofuku Pastry Chef Christina Tosi named this dish Crack Pie, a riff on the classic southern Chess Pie. In her Momofuku Milk Bar Cookbook, she tells the story of how she created the pie for “family meal” (the meal chefs prepare for their staff). It was the result of having few ingredients on hand, but everyone loved it and kept coming back to her for more until the pie was polished off. 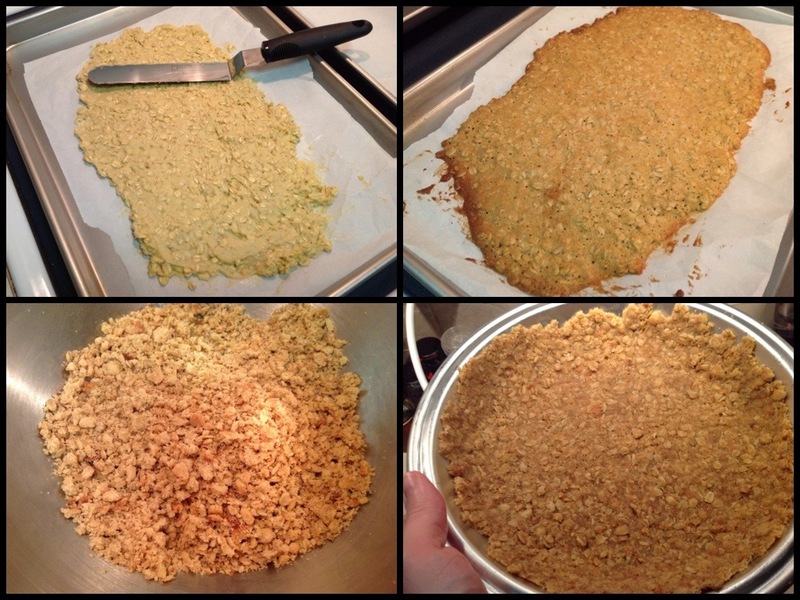 The crust comes from baking and then crumbling a giant oatmeal cookie. 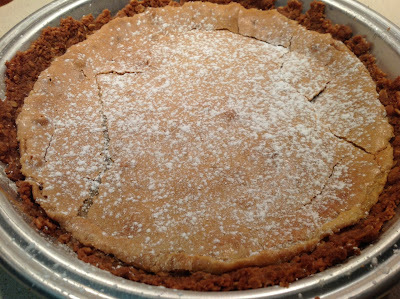 According to Tosi, Chess Pie was what cooks made when they didn’t have the ingredients to make anything more complex. Since it requires no seasonal ingredients, it’s perfect for winter. Because Tosi’s work has been such an inspiration for my dessert-making this year, I wanted to try one last recipe from her as my entry in this year’s winter office dessert contest (you’ll recall for our summer contest I entered this Chocolate Cake with Peanut Butter Frosting). I made the pie from the recipe that appeared in Bon Appetit, which is slightly modified from Tosi’s recipe in the Momofuku Milk Bar Cookbook, most notably because it lacks corn powder, the ground freeze-dried corn that is an essential ingredient in the Corn Cookies. This is a very rich pie, but the oatmeal cookie crust gives it some body so it’s not just sickly sweet but really quite pleasant. I made some minor modifications, one of out necessity, as I forget to stock up on light brown sugar, so I substituted equal parts dark brown sugar and white sugar (light brown sugar is the same thing as dark brown sugar, just with less molasses). I also reduced the butter and brown sugar just a tad. The surface appearance might be another reason for calling this "crack" pie. Since I decided to make two pies (one for the office party and one for Chris and me to enjoy at home), I experimented a bit just to see if it made any difference. Although I whipped the filling with the stand mixer for both pies, I whipped one batch quite a bit longer, so much so that the filling was thick enough that it needed to spread in the crust with a spatula (the filling for the other pie leveled off by itself after pouring). After baking, this didn’t make a noticeable difference in texture except that the pie with the overwhipped filling had more of a “crust” on the top part of the filling, but there wasn’t a difference in taste. 2. Make the cookie crust. Line a baking sheet with parchment paper and brush lightly with vegetable oil. 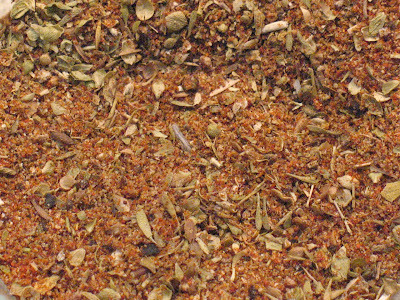 Combine 6 tbsp. butter, 4 tbsp. brown sugar and 2 tbsp. sugar and beat on medium-high to high with a stand or hand mixer until light and fluffy, scraping down the side of the bowl with a spatula as needed, about 2 minutes. Add the eggs and beat on medium-high until pale and fluffy (this is where I experimented, beating one mixture about 2 minutes and the other about 5, which made it noticeably thicker). Add oats, flour, baking powder, baking soda and salt and beat on low to combine, about 1 minute. Transfer dough to the prepared baking sheet and spread evenly with a spatula until the cookie is about 9 x 13 inches. Bake until golden on top, about 18 minutes. Cool baking sheet about 5 minutes then transfer cookie to rack to cool completely. 3. Put cookie in a large bowl and crumble with your hands. Add the 2 tbsp. of butter and rub the mixture with your fingertips until the butter is evenly mixed in and the mixture starts to stick together. 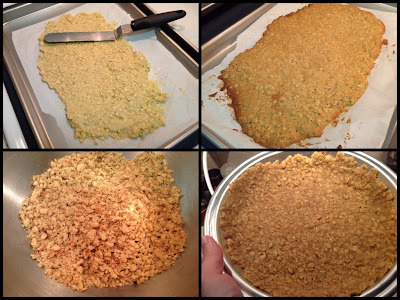 Transfer the oat cookie crumbles to a pie plate and use your fingers to press it evenly onto the bottom and side of the plate. 4. While the cookie bakes, make the filling. 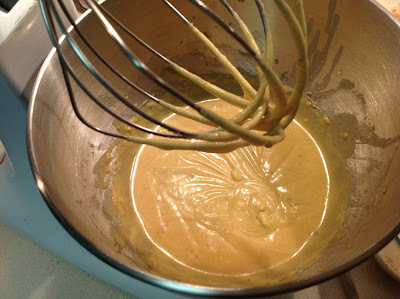 Whisk (or whip, if using a stand mixer) sugars, milk powder and salt in a medium bowl. Add the melted butter and blend in. Then blend in the cream, then the egg yolks and vanilla. Whisk until well blended. Pour filling into prepared crust. Bake for 30 minutes at 350 F, the reduce the oven temperature to 325 F and bake another 20 minutes until the filling is lightly browned and set around the edges but still jiggly in the center if the pie dish is gently shaken. Cool pie for 2 hours on rack, then refrigerate overnight to chill. Serve cold. Sprinkle with powdered sugar before serving. Here's a cocktail revisiting ingredients from some recent drinks: the Corsair Triple Smoke Whiskey, which I used in The Backyard, and the Italian spirit Cynar, which appeared in Old Tom's New Twist. This drink showcases the whiskey and ginger well, so I named it "Ginger Ken Ten," since Corsair's distilleries are in Kentucky and Tennessee. Combine whiskey, Cynar, lemon juice and Angostura bitters in a cocktail shaker with ice. Shake until cold. Pour into rocks glass with ice. Add ginger beer and stir to combine. Top with lemon twist. 1) “The gift of goose,” by Cathy Barrow. There are just 6 days ‘til Christmas—“6 geese a layin’” as the song goes. But watch out! If Ms. Barrow gets too close to your flock, you may find yourself down to 5. Drawing on skills acquired from a recent cooking workshop in France, she talks about braising a whole broken down goose with root vegetables (recipe). Although a good butcher may be able to do it for you, she also describes how to “break it down.” I’ve never made a goose, and doubt I will soon, but it’s interesting to read about. 2) “It never hurts to have a plan for a single pan,” Cooking for One by Joe Yonan. Yonan tackles one of Spain’s best-known dishes, Paella. Although often served in a large pan, Yonan talks about how to cut the rice dish down to size for one person. He almost convinced me to buy a carbon steel paella pan until, during today’s Free Range on Food chat, he said using a stainless steel or cast iron pan would work too. He includes two recipes: Squash and Artichoke Paella and Spinach and Chickpea Paella. 3) “Why I chose the good bubbly stuff,” Wine by Dave McIntyre. Champagne, real Champagne, is expensive, at least $30 for a basic bottle and it goes way, way higher for the premium stuff (I’ll be doing my New Year’s toast with Prosecco, thank you). Despite a longstanding clampdown on vintners outside of France’s Champagne region marketing their sparkling wines as “Champagne,” there’s still some confusion about the drink. McIntyre does a nice job presenting the “101” on Champagne and what makes it special. 4) “The highlights of 2012 were blasts from the past,” Spirits by Jason Wilson. Wilson looks at 2012 and sees…1912, at least judging from the rise in popularity of truly old school cocktail ingredients. This is among the trends Wilson ponders in this year-end Spirits capping column, which includes a recipe for a White Negroni. 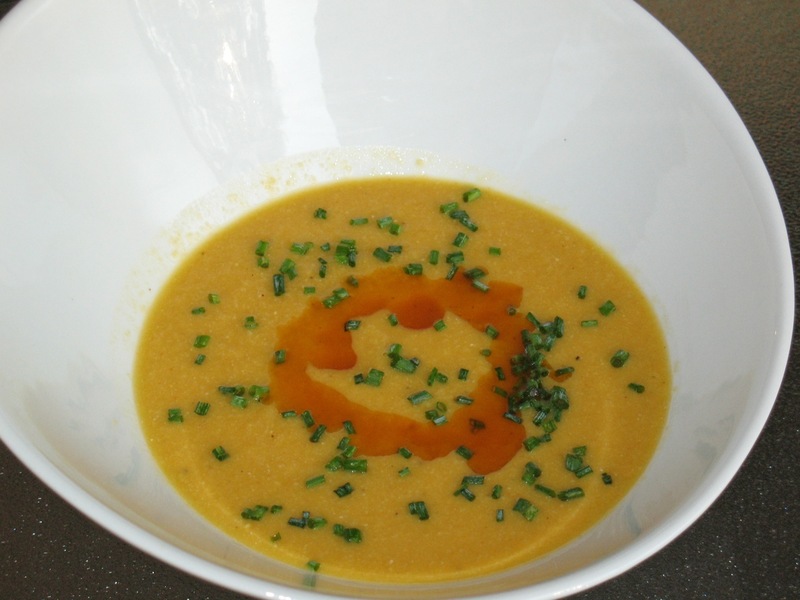 5) “Grilled Chicken and Green Chili Soup,” Nourish by Stephanie Witt Sedgwick. This chicken soup is loaded with heat—jalapeño and poblano peppers—but the southwestern flavors of cilantro and lime make this spicy soup sound refreshing too. 1) “Please, Mom and Dad: Just Have a Taste,” by Amy Chozick. I give my gold star today to this piece examining how family dynamics around food can change when children raised in a middle-American suburb (“land of chain restaurants, big-box grocery stores and drive-throughs”) grow up and move to culinary havens like New York or San Francisco. It’s a great story, touching on generational issues, urban elitism and how very differently Americans view what “good food” is. One of the nicest surprises in this article is that it quotes Grand Forks, N.D. restaurant critic Marilyn Hagerty in a manner that actually draws on her regional expertise (as opposed to mocking her, which became so common after her Olive Garden review went viral). 2) “Wrapped in Tradition” by Fernanda Santos. I go to Mexican restaurants all the time, but never order tamales, the corn-dough and meat filling dish roasted inside a corn husk. 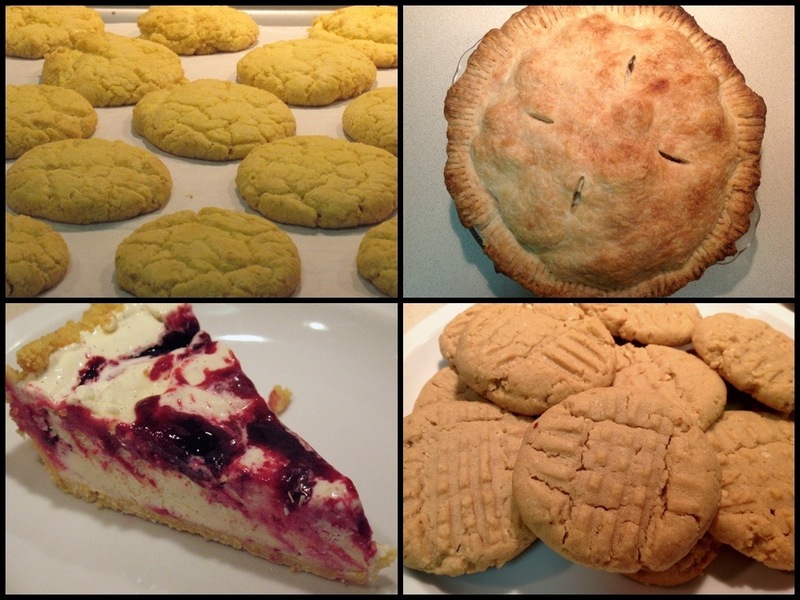 Santos profiles a home cook who makes loads of them around the holidays, a time when they are most popular. Not sure if I’m ready to try the recipe (where does one buy dried corn husks? ), but I’m certainly ready to try one now. 3) “Dessert With Our Readers,” A Good Appetite by Melissa Clark. A few weeks ago, Clark asked for readers to submit their favorite holiday recipes. 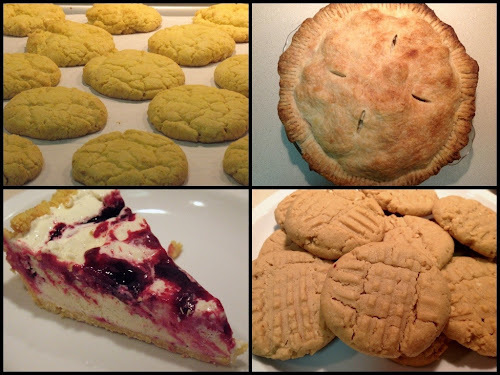 She made 13 of them and selected a top 3 to feature in this article, including Grandma Dorie’s Italian Ricotta Cookies, which I wish I was eating right now. The lemony cookies sound remarkably good. 4) “Cranberry Conserve: Tart Option To the Can,” by Cathy Barrow. In another good argument for homemade cranberry sauce (which I fully support), Barrow offers a recipe for Cranberry, Raspberry, Pecan Conserve. Conserve is basically cranberry sauce with nuts (pecans in this case). Notice the byline on this? Yes, this is the same Cathy Barrow who wrote the goose story that appeared in the Post today. How cool! You can read more about her on her blog, Mrs. Wheelbarrow's Kitchen. 5) “Elevating Champagne’s ‘Unacknowledged Grape’,” The Pour by Eric Asimov. According to Asimov, the Champagne trinity is comprised of chardonnay, pinot noir and...the third lesser-known member...pinot meunier. Huh? After the Post’s 101 on Champagne, this narrower piece offers nice depth on an often overlooked grape for good bubbly. The New York Times. Post, your goose is cooked! The Times has the upper hand this week with an interesting look at generational and geographical food differences, tamales and those ricotta cookies that my coworkers were all abuzz about today. Next week: The 2012 Food (Section) Fight! finale. When Melissa Clark wrote about this dish recently in the New York Times, she said that “pasta with Brussels sprouts and bacon is the new pasta with broccoli rabe and sausage.” If that’s true, it’s a trend I welcome. 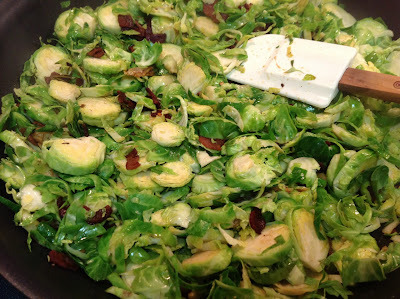 Roasted Brussels sprouts with bacon is amazing side dish, perfect for Thanksgiving. Here, the two ingredients get a pasta treatment, where they play together as well as they would in a roasting pan. I spliced the sprouts in a food processor. Some of them will separate while cooking, but a few discs remained whole. Those that get nicely browned on the bottom are the most special. 2. Heat a large frying pan over medium-high heat. Add the pancetta and sauté until it starts to brown, about a minute. Add the rosemary, garlic, pepper flakes and fresh-ground black pepper, and sauté until garlic and pancetta are well browned, about 3-5 minutes. Add the sliced brussels sprouts, a large pinch of salt and a splash of water to the pan, and sauté until sprouts just start to soften, about 2 minutes. Spread the sprouts mixture evenly around the pan and press down to flatten the mixture. Allow it to sear for about a minute, then stir and repeat (according to Clark’s recipe, this helps brown the sprouts). Add the butter, and sauté for another minute. 3. Combine the Brussels sprouts mixture with the pasta and drizzle with olive oil. 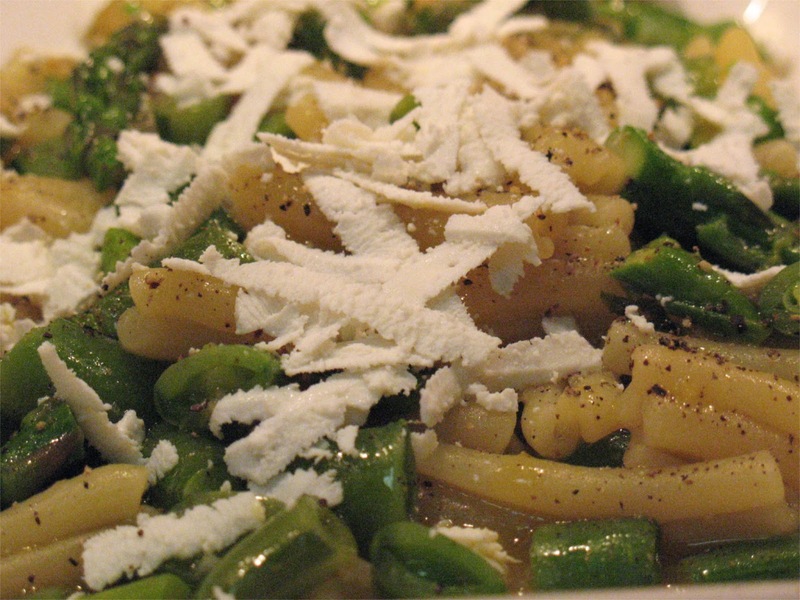 Serve in bowls topped with grated pecorino romano cheese. The holidays can be a busy time for anybody, but especially for home cooks, who may be tapped to provide festive nourishment for any of a host of events: office parties, cocktail parties, family gatherings, community events, charity auctions, cookie swaps, and on and on. It can be a lot of fun, but a lot of work too. At the end of the season of giving, one can feel quite tapped out. So this week, rather than present fabulously elaborate dishes to share with family for Christmas, I'm going in the opposite direction. This month may be about others, but this week is all about you. These are dishes you can make to please yourself: homey comfort foods, a culinary "pat on the back" if you will. I featured this Roasted Chicken with Greens and Bread Salad back in April, but it tastes really good this time of year, so I'm offering it up again as the perfect fall-to-winter comfort food. Really, this dish would be good whenever. It's one of my favorites. I couldn't find fresh thyme, so I substituted some dried thyme sprinkled below and on top the roasted chicken. 1. Preheat broiler with oven rack about 5 inches from heating element. Cut crust off bread and discard or use for other purpose. Tear and slice bread into pieces of about 1 to 2 inches. Put bread pieces in a large bowl, add 2 tbsp. olive oil and toss to coat. Spread bread pieces onto a baking sheet and broil to lightly toast, about 1-2 minutes (watch carefully, they will burn easily, especially if you hand tear the bread). When done, allow to cool and then put bread pieces back in the large bowl. 2. Preheat oven to 375 F (it won't take as long since the broiler was just on). 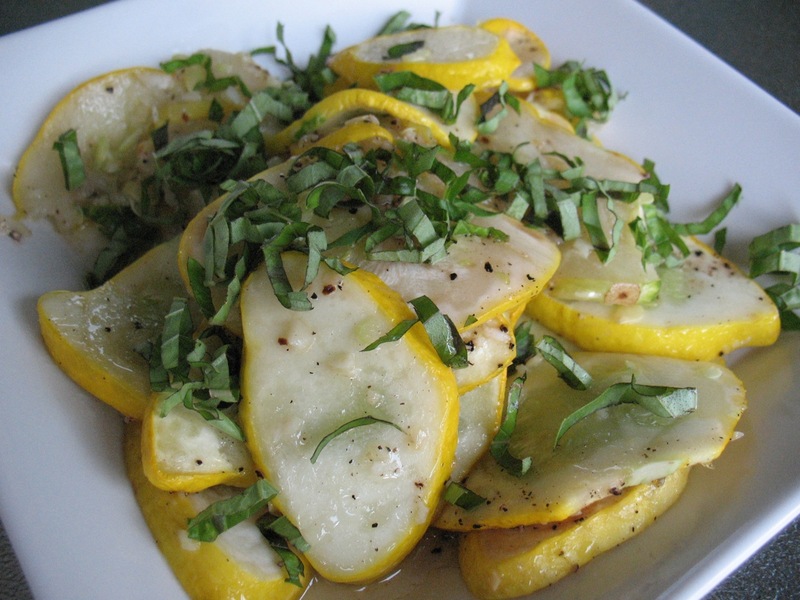 In a 9 x 13 baking dish, arrange the fresh thyme sprigs on the bottom of the pan. Pat chicken pieces dry and place on top of the thyme. Brush chicken pieces with olive oil and season with seasoned salt and pepper. Put in oven and roast until internal temperature of chicken is about 165 F (should take about 20-30 minutes). 3. 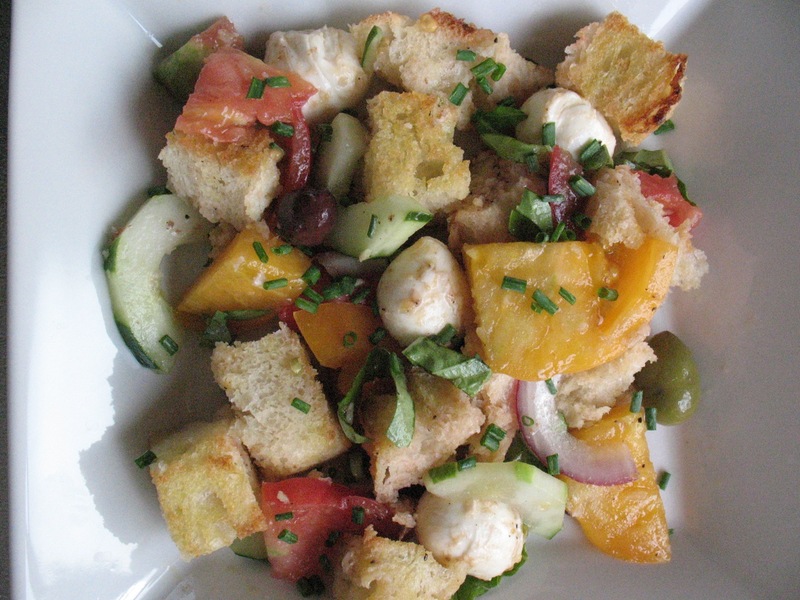 While chicken is roasting, prepare the bread salad. Put the currants in small bowl and add red wine vinegar and 1 tbsp. water. Set them aside to plump while you prepare the other ingredients. Whisk 1/4 cup of good quality extra-virgin olive oil with the white wine vinegar and ground sea salt and pepper to taste. 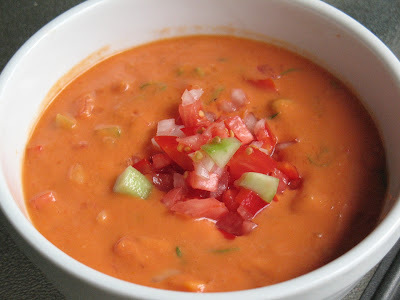 Add about 1/4 cup of the dressing to the toasted bread and toss to coat (the remaining tbsp. of dressing will be used later for the greens). 4. Heat a small (8-inch) frying pan over medium-low heat. Toast pine nuts in pan until fragrant and lightly browned (doesn't take long, watch carefully and keep nuts moving to avoid burning). Remove from pan and add to bowl with dressed bread. Add 1 tbsp. olive oil to pan. 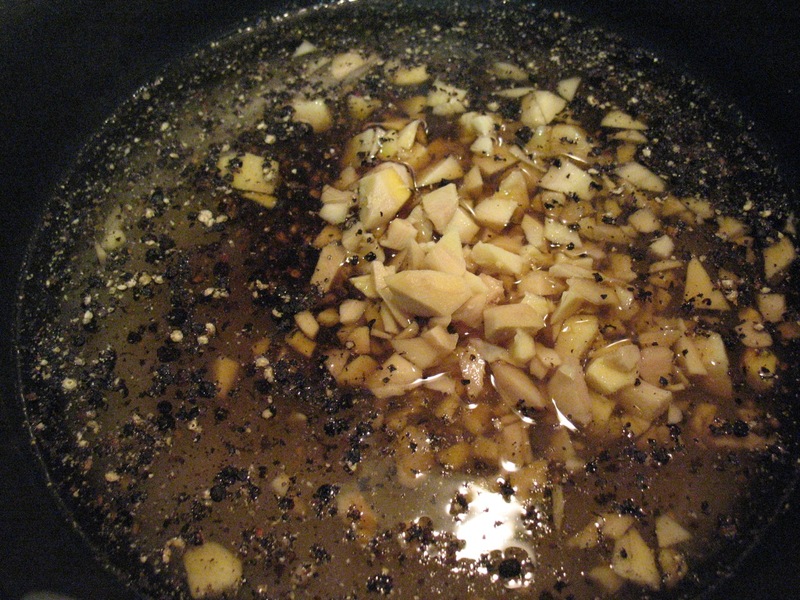 Add sliced garlic and chopped scallions and saute until softened, about 2 minutes. Add to bread. Drain currants and add to bread. 5. Place bread mixture in a small (8 x 8) baking dish. Sprinkle 2 tbsp. salted water over the bread mixture. Cover with aluminum foil and place in oven to warm during the last 7-8 minutes of time when the chicken is roasting. 6. 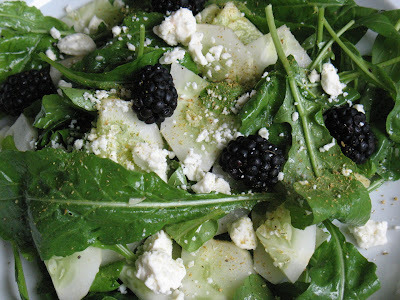 Add arugula to large bowl and toss with remaining white wine vinaigrette. When broad mixture comes out of oven, remove from pan, add to bowl and toss with greens. Serve bread salad under roasted chicken pieces. There's a little over a week left before Christmas. Still time to pick up a last-minute gift. For the food lover in your life, I suggest one of these books, which represent either my favorites from the year or what I'm very interested in reading. Quick the links to go to Amazon, where you're just a few clicks, 2-day shipping and some wrapping paper away from having any of these under your tree. 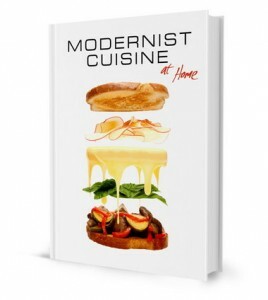 Modernist Cuisine at Home by Nathan Myhrvold and Maxime Bilet. This year, they released a slimmer-by-comparison one-volume version geared more towards the home cook. 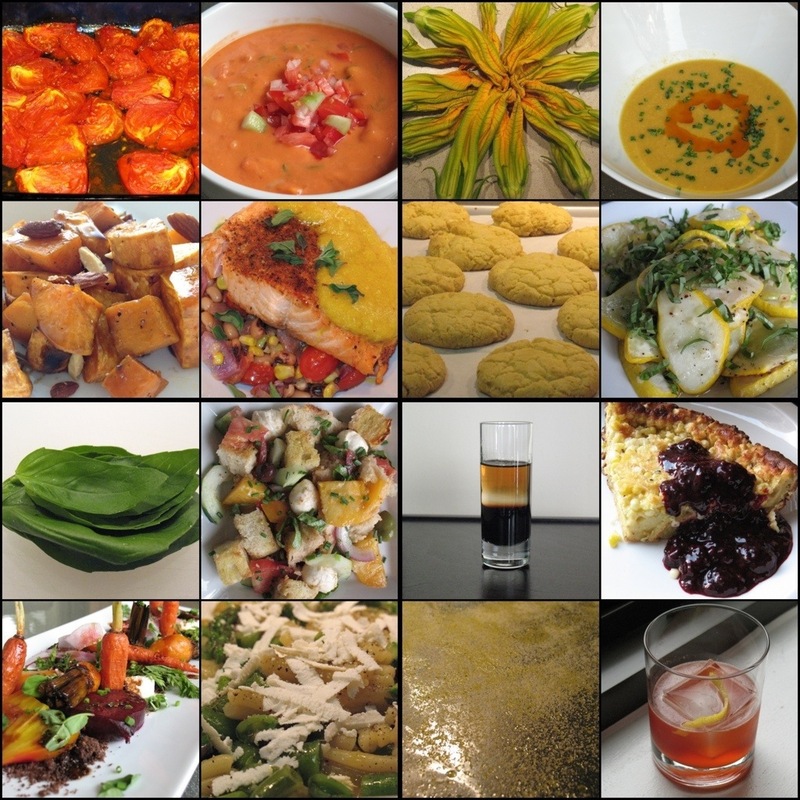 Granted, that doesn't mean these are recipes that the average kitchen is equipped to make, but even if you don't (yet) own a sous vide machine, this still sounds like an interesting read (see Washington Post review). The Science of Good Cooking by The Editors of America's Test Kitchen and Guy Crosby. America's Test Kitchen and its Cook's Illustrated publications are one of my top go-to sources for understand the "why and how" of good cooking. The science-minded volume takes that know-how down to the molecular level to help you really understand how, for example, the starch molecules in potatoes react a certain way from different methods of making mashed potatoes. If you're into food science, but not "modernist" cooking, this volume of more traditional recipes may be for you. Bouchon Bakery by Thomas Keller and Sebastien Rouxel. The first time I bit into a namesake chocolate bouchon from Bouchon, I knew I had a found a truly remarkable snack. This volume includes recipes for many of the bakery chain's best-loved confections. 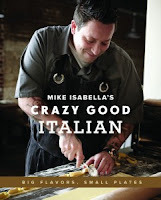 Crazy Good Italian by Mike Isabella. Still have a hankering for the Top Chef alum's chicken thighs with pepperoni sauce but don't live near Graffiato? With this cookbook you can make that any many other of his Italian-American favorites (like corn agnolotti with pine nuts and chanterelles, which was a huge hit during Graffiato's first summer). The Smitten Kitchen Cookbook by Deb Perelman. Proof that a cooking blog can be a gateway to culinary fame, Smitten Kitchen blogger Deb Perelman released this beautiful volume in October, featuring her homey recipes and typically beautiful food photography. Yes, Chef by Marcus Samuelssson. A chef's memoir is nothing new, but this one has made it onto quite a few "best of the year" lists. Sounds like this year's Kitchen Confidential or Blood, Bones and Butter. The American Way of Eating by Tracie McMillan. 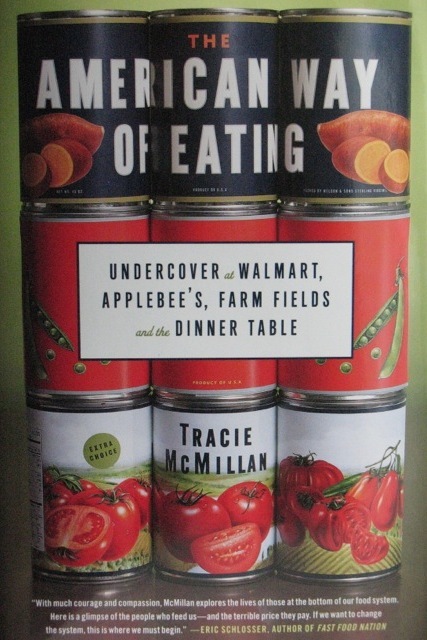 Taking a first-person approach to research three key steps in the American food chain--farming, grocery retail and chain restaurants--McMillan finds little good but plenty of bad and ugly when she peels back the shiny shrinkwrap on the industrial processes that feed a large portion of Americans every day (here's my review). Extra Virginity by Tom Mueller. Olive oil may seem like a perfectly benign condiment, but wait 'til you read Mueller's exposé uncovering its shady side and the true believers trying to restore the green-golden liquid to its deserved state of quality (here's my review). The Man Who Changed the Way We Eat by Thomas McNamee. I'm currently reading and enjoying this engaging biography of Craig Claiborne, the man who made The New York Times take food writing seriously and ushered in the modern era of restaurant criticism. Consider the Fork by Bee Wilson. Wilson explores global cuisines through the utensils that shape them. I haven't read this yet, but it's on the top of my list of books I want to read in the new year.